UR90 is a front panel unit that is an infrared receiver. 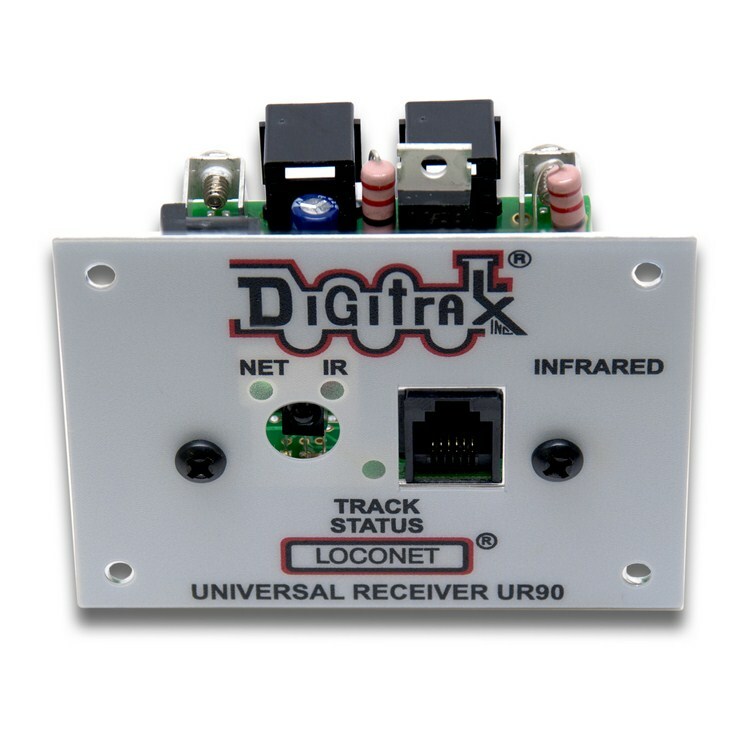 All current production Digitrax throttles are factory equipped with infrared capabillity, just add one or more UR90's and you're wireless! Note: Most layouts require more than one UR90 because Infrared is line of sight and the UR90s must be able to "see" the signals for reliable operation. Recommended for indoor use only.